"If one rejects God's wrath, one must also reject His love, because the denial of either, in effect, destroys the personal character of God." Here's an interesting theological article on the 'Wrath of God' - Click here. We find ourselves strugglin with the inbetween place of reality and vision. What would you call it? That frustrating place? That lonely place? That exciting place? The long journey? The neverending pilgramage? Maybe I'll write a book on it one day. For me, it's at times a painful journey. Not because things are overly bad in reality, and not necessarily because circumstances are not exciting. But, in your heart is something better. It's like Jesus yearning for a new Jerusalem; a place where he would be Lord of the City. The fact is, the Kingdom of God is here in our midst. Around us. Surrounding us. Where two or more are gathered in Jesus' name, Jesus is there! The Kingdom is there! The fact is though, that the Kingdom has not come in all its fullness. That's why there's still hurt and pain. That's why people can still be sick, selfish and self-centered. * Will they play the music I like this morning? * Will they be looking after my kids today? * Gee, I hope I don't have to jump in the kitchen this morning. Since when is church all about us? I thought of this recently, with the tragic passing of my Aunty at age 51. My family told me they scattered the ashes over the water and read a verse from Corinthians about having new bodies... resurrected bodies. Picturing those ashes swirling in the wind, I thought again about this idea of being 'dead to the world'. The things of this world are irrelevant compared to being a child of God; a follower of Jesus. So, tell me, when did Jesus preach: Come and follow me and I'll make you comfortable and fill all your wants? Remember what he said, 'lose your life'; forget about it; don't worry about it; its not yours anyway... Give up your own life and follow Jesus. That's my response and hopefully your response to a consumerist society. It's not about you. It's about Jesus. Jesus will give you life abundantly, I don't dispute that, but life is really about ultimately glorifying God and making God known. The old proverb says that without vision the people perish; or as some say, without vision the people wander aimlessly. We spent some time with our leadership team today speaking about the vision of our church for next year, and the years to come. Why? Well, without a clear vision, it is so easy to wander aimlessly. It is so easy to merely work and work, and become busy 'doing' lots of things, and the question is whether you are achieving what you should be achieving. A vision keeps you on track. A mission statement highlights what your main purpose is, but a vision gives you an idea of the preferable future for your organisation. A vision also motivates the troops. Without a dynamic vision, people will wander aimlessly not really understanding their purpose within your organisation. A vision helps people be on the same page, and to be striving for the same goals. A good vision will ignite passion in you to see change and transformation. A good vision will see people signing up to be a part of it. The challenge is today: Don't let people, organisations, churches, wander aimlessly because there is no vision. Get a hold of the preferred future and communicate the vision to your people. 'Decline is never the only answer' is an article from Leadership Journal.net. It mentions that nothing defeats the human spirit like stagnation. You know, that place you find yourself in, where nothing is moving, nothing is changing, nothing seems to be working, so you stop; you stagnate. What needs to change first, is growth of the spirit inside the leader doing the ministry. That's so true. If the leader has lost the vision, don't expect others to keep the vision very long. When the leader grows in their ability to persevere and be strong, and be passionate, then they will battle against stagnation and decline. Leaders who have fallen into a pit of despair need to pick themselves up and keep moving. Don't fall into the trap of denial - trying to justify to everyone that nothing is really wrong, that nothing really needs to change. Try not to fall into a place where you lack motivation. See the dream, and live it out. Let following Jesus be an absolute roller coaster, exciting journey! Don't be dismayed when fewer people are signing up. Ask yourself, is it something to do with my leadership, is it about the fervency of our prayers, or is it that the vision does not connect with the people? Good things are happening in the NT. In both our morning Church service and our Mainly Music outreach service, there was a great feeling about the place. People responded at the mercy seat in the morning, we spoke about the story of Noah at night (the fact that Noah was a righteous man in God's sight, so God showed favour on him). There was something special about the strength of the relationships this Sunday. People were laughing and chatting, and then moving around the room and laughing and chatting with someone else. I said to someone, you pretty much know the church has healthy relationships when you can't get out of the hall for lunch, because of all the chatting. So what is God doing? Mainly music families are learning the well known stories of the Bible (well, well known to us), and they are learning who God is, his nature, about sin, and how it affects their lives. I pray in the near future they choose to follow Jesus. Leaders in the corps are passionate about outreach, and giving both their time and finances to see God's kingdom be fruitful. One of our soldiers got an award for 10 years of service in The Salvation Army in the NT. God bless Bronwyn! There are challenges ahead. Mainly issues of discipleship and leadership development, but they are overcome when we teach and grow and learn what the Bible says for our lives. The Spirit of God is moving, and many more are coming to know Jesus in the days ahead! Bring it on Lord. White Hot Faith - Well, any born again Christian should have a white hot faith. Any Salvationist should be known for their zeal for God. Addison refers to having a direct and personal encounter with the living God, which then stirs on the person to social activism, e.g. Mother Theresa, Luther, Francis, etc. Commitment to the cause - William Booth stirred up the beginnings of The Salvation Army with an amazing commitment to the cause. Are you a leader who is outlandishly committed to the cause? Contagious Relationships - Powerful ideas travel quickly. Movements have ideas that are passed rapidly amongst relationships. Entrepreneurial leaders have relationships that help revolutionary messages be transmitted. Rapid Mobilization - The leader of a movement needs to have the ability to communicate the cause, and have people buy into the cause so that the movement grows and expands and honours God in the process. Think of the rapid expansion of the Protestant Reformation, where people bought into the teachings of Luther and Calvin and others, and a movement was birthed. 'Who moved my cheese' by Dr. Spencer Johnson is an easy and enjoyable read about dealing with change. Four people are moving through a maze looking for cheese. They find some cheese, and they all enjoy the benefits of the cheese at Cheese Station C. Eventually the cheese at Cheese Station C runs out. Two of them decide quickly to move on and look for more cheese. The other two experience the feelings of disappointment and denial about there ever being more cheese at Cheese Station C. Well, it outlines the feelings many of us have when we are faced with change. Some of us wander around in self-pity wondering when we'll ever get back to the way things were. Others realise the cheese has moved, and so they change to compensate for the changing environment. 'And you who were once estranged and hostile in mind, doing evil deeds, he has now reconciled in his fleshly body through death, so as to present you holy and blameless and irreproachable before him...' (Colossians 1:21-22). Holy and blameless. Praise God. Was looking a little at Leviticus recently. Not a book we touch all that often right? You know the main theme of the book of Leviticus, and referenced 152 times? Holiness. Must be important to God! Lord, help us to cope with change. To run with it. To embrace it. Help us Jesus to be a holy people. Purified from all sin. Set free from all addictions. Fullness of life. We also pray God that we will be able to chart the course ahead of us. To not just 'go with the flow', but to consider the future and where you want us to be. We love you Lord, and choose to follow you in all we do. In the name of Jesus. Amen! I believe to say 'No prepackaged...' is a little overemphasising the point. Sometimes presenting the gospel to someone might be exactly what they need to hear at that specific time. I totally agree though that the church's witness must be about others (altruistic - focussed on the welfare of others). When they see you are 'normal', and living authentically out the gospel in which you believe, this creates credibility among Postmoderns. 'For in him all the fullness of God was pleased to dwell, and through him God was pleased to reconcile to himself all things, whether on earth or in heaven, by making peace through the blood of his cross' (Colossians 1:19-20). Peace through the blood. I like that. Yahweh Shalom. The Lord is peace. Law No. 3 - The 21 Irrefutable Laws of Leadership - 'The Law of Process - Leadership develops daily, not in a day'. Well, its simple, yet true. Some want to be awesome leaders straight away, but there is much to learn. I'm not at the place I want to be, I tell you that! There are times I don't have the self-confidence I desire, or have the wisdom to make the 'right' decision at the time. I need to learn, grow, develop, stretch myself (not just my muscles), and continue to seek after God's will for my life. Lord, help us to have peace in the blood of Jesus. Bring peace right now for those that are troubled. Lord, we want to reach everyone with the gospel of Jesus, and we ask for wisdom on how to share that gospel with people that have differing worldviews and outlooks to ours. We also pray God that we become the leaders you want us to be, and to ultimately lead people to live Christ-centered lives. We need to stop living in the past and engage with the present. The fact is church attendance in the western world is declining. We cannot simply incrementally adapt our churches and expect to revolutionise the future, when people have changed, societies have changed and worldviews have changed. When we engage with the present we realise we have a shifting worldview among some generations, from modernity to postmodernity. You can speak to a Gen-Xer and hear very quickly that they struggle with a thought of Absolute Truth. You mean Jesus did die on the cross and was absolutely resurrected? Yep. Absolutely. This is a definitive verse claiming that Jesus played a significant role in creation. Jesus was not merely a quick response God created to deal with a sin-fallen world. The Law of the Lid - 'Leadership Ability Determines a Person's Level of Effectiveness'. An organisations success is very closely connected to the leadership ability of the senior leader. Whether it be a Corps Officer in The Salvation Army, a Principal at a local Primary School or a CEO of a finance company; the organisation will only go as far as the leader allows it to. That's why leaders must continue to grow and learn. That's why we continue to read. That's why we stretch our thinking. That's why we learn how to work better with people around us. Look to Jesus for the ultimate example on how to lead. The Family Church has 50 or fewer people. The Pastoral Church has 50-150 people. The Program Church has 150-350. The Corporation Church has more than 350. Whether we like this or not, this seems to be the case of most churches. Senior pastors go from being the ‘Pastor’ to the ‘CEO’. The only way to change this, is to consider our structure of church. We can still keep that family feel to a large church, especially if the model of church is predominantly Cell groups, for instance. I don’t like the assumption some make, that, when a church grows in size it automatically loses its missional heart. Sure, it may be difficult to continue to pursue missional objectives when a Church grows, but it definitely need not be that way. Healthy churches, no matter their size, structure or vision will be fulfilling the great commission and serving suffering humanity. What size church are you in? If you are the leader of this community, how do you lead based on the structure/size of this church? I find myself currently in a church of less than 50. The Family Church is probably the right label to give this community. I’m certain that as this church grows (which it is doing! ), I will either need to change the way I lead, and/or change the way we structure our church. Will we plant congregations? Will we just invite everyone Sunday mornings? Will we have midweek gatherings for those who don’t connect well with traditional church? Will we have a community that links well with men who fish, ride motorbikes, and go shooting buffalo in their spare time? Visionary Christopher Columbus didn’t know where he was headed! Traits are helpful, but don’t stress if you are not perfecting all of them! Sometimes leaders are in the right place at the right time. Sometimes its not just the leader that makes a successful leader, but the right environment they find themselves in. Nah. Not true. Some leaders become heroes after they die. Other leaders are relatively unknown but are doing great things in their circles of influence. Not all good leaders have the gift of leadership. Some might be gifted at evangelism, or pastoring, or teaching; not necessarily leadership. These myths of leadership, I believe help us to stress less about our ability to lead. We do the best we can, with where we are, with what we know, and the gifts God has given us. We learn and grow, but trust God for the wisdom and ability to lead. We don’t need to be well known, blessed by everyone and financially supported by the best of them. We plot along, with passion and conviction, seeing God use us to dismantle the Kingdom of Darkness and grow the Kingdom of God. Walking -> Riding -> Horse and Cart --> Driving -> Flying --> ?? Encyclopedias --> Encyclopedias on CD --> Wikipedia --> ?? Library --> Book Shop --> Amazon --> ?? The world is flat --> The world is round --> The Universe is still expanding --> ?? Kodak Film --> Digital Cameras --> ?? Corner shop --> The local Market --> Super Market --> One stop shop! --> ?? Economies change. Countries change names. Politicians change policies. Pastors change 'their strategies'. Businesses change marketing techniques. Airlines upgrage their planes. Change is inetivable. The only thing that doesn't change...? Yeah you guessed it; 'the fact that things change'. How does the local pastor deal with this? She's called to be a Theologian, a Businesswoman, an accountant, a counsellor, a team player, a preacher, a dishwasher, an administrator, a visionary, and the list goes on. Firstly, stick to what is the core purpose of your role as a pastor (corps officer). The Salvation Army Officer signs a covenant. Their fundamental role is to 'live to win souls' and to help those in need. 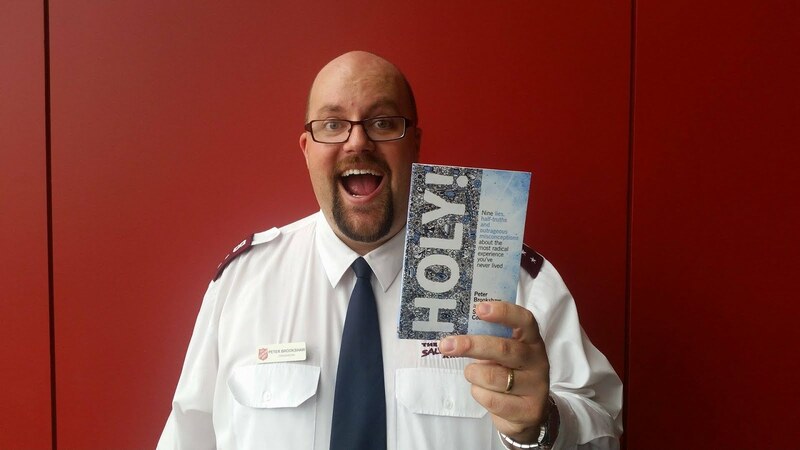 To live a life of holiness; a life worthy of being an officer in The Salvation Army. Don't be fazed by the change around you. Learn what you can, but don't be consumed by it. Read what you can, but don't be mesmerized by it. Blog what you can, but don't stress over it. Email who you can, but don't fret over it. Ring people on your heart, but you know you can't ring everyone. Preach what you believe is on your heart, understanding its difficult to preach to a wide variety of differing generations. Times change. The gospel doesn't. The methods in which we share the gospel change. The essence of the message doesn't. Re-jigged our Planned Giving at the Church recently. People in the church are either giving the same, and many are giving more than before. Praise God. About ‘calling’. First there is the ‘effectual call of Christ to become a disciple’. This call is experienced by all that become believers. Secondly, there is the ‘providential call’. People are drawn into acts of service based on what seems to their inbuilt passions, e.g. building, creating, problem solving, etc. Thirdly, there is a ‘charismatic call’. God empowers us with his Holy Spirit and gifts us as he sees fit, and calls us into ministry based on those giftings. – R. Paul Stevens (The Other Six Days), p. 80-81. Idea Virus. Twitter and Facebook are one. Susan Boyle is another. It’s an idea/concept that spreads like a virus. The fact that Jesus rose from the dead ought to be an idea virus. Spreading like wild fire through the internet, and through our interpersonal networks. Well, we live busy lives. We have expectations at work. We have the immediate family to look after, and television shows to watch. The wider family gets put on the back burner, til we find the time. The relationships then grow weak and the distance and time becomes more awkward. ‘I can’t possibly ring them now, they’ll think something is up’. ‘It’s been 6 months since I’ve spoken to little Richy’. I’m putting the challenge out there to unite families together. To make that awkward phone call; to send that email that you’ve procrastinated about; to mention the elephants in the room and get the conversation going. God’s desire is to see strong, healthy relationships, with Jesus at the centre. God longs to see unity, not fragmentation. This is a challenge I once heard from Chick Yuill. ‘Embrace change’ was the catch-cry. A healthy church can try something new, and be ok if it fails. A dysfunctional church can find change too threatening. Or maybe the church is happy with the status quo – with how things are. Now, if a church is not making new disciples of Jesus Christ, and the church is not reaching the poor and advocating for the injustices in our society, then it needs to ‘embrace change’. By continuing on with the same programs, the same attitudes, the same ‘Church services’ and expecting things to change by themselves is naive. They need to embrace change. Its hard to change a culture of an organisation. Maybe its harder in a ‘volunteer’ church organisation. In the corporate world you just sack the volatile people, or the people with the wrong attitudes. In the church, we love and accept and grow together. It’s about building community together. Decisive action does need to be taken to be honouring God with what matters, and if we are not in that place, we need to change. I pray a blessing upon church leaders in that position right now, and ask God to give you wisdom and understanding, endurance and patience (Colossians 1). It’s all garbage (he said in Philippians 3:5-8), compared to knowing Christ and being known by him. I throw everything else in the trash. Nothing else matters. Everything else is irrelevant. Everything else in inconsequential. I want to know Jesus and be known by him. I want to be embraced by him. I don’t want to put anything on a pedestal too high than what it should be, lest I remove God from the most important place in my life. Palmerston – The place to be (That’s the catch-cry of the local Council). 11.4% of the population are indigenous. Much of the population is under 20. Australian Army personnel work close by. The local shops are the place to have coffee and see people you know. Palmerston markets are on every Friday night (Click here). The culture is different here. Things happen 10 mins from now, not straight away. The Palm branches and the humidity helps you feel like you’re on holidays all year round. There’s no water restrictions. The NT News is good for a laugh, but doesn’t hold much credibility in providing in-depth journalism. Some Aborigines sleep behind the local cinema – God bless them. Rents are high. Fruit and Veg go off in three days. There’s a housing shortage (isn’t there in all of Australia?). People need affordable accommodation. People come here for holidays, and pack up home and end up living here. Many families have family members back in other parts of Australia. We love Palmerston. Will you pray for this city of 27,000 people? Just shoot up a pray right now… Thank you Lord for this city… Let people come to know Jesus! What city are you ‘being Jesus’ in? What lives are you transforming through the work of God’s Spirit? How is God using you? The Salvation of the World. Bring it on. Our Church has been speaking recently on giving; hence the blogs on the same topic! God asks us to be generous, with our giving and with our lives. To help people in need, and enjoy helping them in the process. Think about creation. “In the beginning God created the Heavens and the Earth.” What a creation. He then finally created male and female, and what did he do? He gave us the whole earth, to bless it, and subdue it, and rule over the birds of the air and the fish of the sea. God gave to us. After the fall, we were separated from God, and Abraham (and OT people) were connected to God by faith and righteousness. Then God GAVE us Jesus. John 3:16, a classic verse… ”For God so loved the world that he GAVE his only son, that whosoever believes in him, will not die, but have eternal life.” God gave us the ultimate gift in Jesus. Not that Jesus is just some sort of present that we consume. But he is the promised Messiah, the King of all kings, the Lord of all lords, a Saviour, a redeemer, a healer and a judge. God GAVE. This Father’s Day, think about it. Our Heavenly Father is worth some time. Our Father in Heaven is worth some focus, and thanks and prayer. Thanks God for showing us how to give! How important it is for us to be good stewards of what we have. My mum used to say to me, ‘Finish the food on your plate, there’s people starving in Africa’. Maybe there was some way of transporting this food to a needy place in the third world… I knew there wasn’t, but the thought was clear. Don’t waste your food. Don’t eat too much. Don’t cook too much and have too much on the plate so that it then gets wasted. Be a good steward of your food. My parents would challenge me to bank some money. ‘Put away some money every week… It’ll add up you know’ What they were really saying was, don’t waste your money. Put some aside. Don’t overspend. Always have some money on the side to spare. Be a good steward of your money. A fair enough challenge in such a ‘rich’ part of the world. I read the book of Phillipians this morning. Good discipline! Highlights for me were about being merciful. Also, Paul talks about running the race. Persevering to win the prize. "We can't always be on the mountaintop", my lovely, jab-me-in-the-side wife said to me recently. You know, I love the high. I love the success, or the win, or the progress. What Jo was nicely saying to me was, you won't always be at that place. There will be times of coming down the mountain, just like Moses after receiving the Ten Commandments, and just like Peter, James and John following the transfiguration of Jesus. Ministry can be great at times. At other times, lets face it, it can be plain monotonous. Even after so little years, I have learnt, to 'Celebrate the wins'. To enjoy those times together, where God is so evident, and people's lives are radically transformed. The problem is, not many have said to me, 'Appreciate the journey'. Or maybe they have, and I haven't heard it. It's that idea of the pilgrim journey. Everyday, honouring God. Everyday, doing your best for Jesus. Everyday, relying on him. I'm not suggesting we wander around with no purpose, and just take life as it comes. I'm rather suggesting we acknowledge the journey as where God wants us, and enjoy it along the way. There will be times we will be up the mountain, and the person gets saved, and the finances come, and the baby arrives, and the soldier gets enrolled and the local officer steps it up a notch. But as we look forward to those mountain top experiences, I'm asking God to help me with persevering through the journey. The next mountain is not too far away! Hallelujah! Do Church Growth Strategies work? I spoke recently with a Salvation Army leader about "Church Growth Strategies". The discussion focussed around their effectiveness; are they effective or are they a hindrance? Interestingly, after attending a conference with both speakers from Baptist and Pentecostal circles, there were different emphases. The former would speak about the importance of planning strategically for church growth, with intentional focus on connecting (assimilating) new people to the church, on discipleship, etc. The later would speak on the absolute importance on relying on the power and work of the Holy Spirit, because God in essence is the one who "grows the church". We like to divide the issue, and say, "Yes, its just about the Holy Spirit', or "No, its all about how we sow the seed, and where we sow it". It's really about both. You could say, strategically, God said to Paul, 'Go to Macedonia and preach the gospel' because this was a strategic decision that would benefit the Kingdom of God. But on the same hand, you could say, Paul was Spirit-led and Spirit-inspired to travel to Macedonia and preach the gospel. See how they are one in the same? Did the Spirit of God lead Peter to the Centurion? Yes. Was it a strategic move of God? Seems to be. The choosing of David as king, was a Spirit-led decision, but also a strategic decision. You get the point. Strategy is important. The Holy Spirit's guidance in that strategy is even better. Tithing - Just Old Testament? You hear occassionally someone say with a little bit of attitude, 'Tithing is such an Old Testament thing!' You know right there and then, they have some sort of issue with giving; maybe that it is too legalistic, or we feel pressured into giving or its too much of an expectation. Here's a reply I like to give people who complain about this "Old Testament" idea of tithing. 'Well, if you have an issue with giving 10%, that's fine. Let's go to a New Testament way of giving. Some people were selling properties and giving ALL their money to the apostles!! Hmm... I think tithing 10% is small and relatively easy compared to that. The New Testament teaches generosity in our giving and in our living. I don't think the Old Testament way of tithing is outdated or been superseeded by the fact that Jesus came to earth. I encourage people to tithe and then to give offerings. To live generously. I challenge people reading this blog to tithe their TAX Cheque. Think on it. Doing this is putting God first! If you are a follower of Jesus, I don't see why this is something we shouldn't do; especially noting the fact that most people tithe only their NET amount of income, and so any tax they pay has not been tithed. Anyway... Too legalistic? I think it's about honouring God first with our living and our giving. A friend of mine received $4,000 back from the Tax Department, and only recently has considered tithing that amount to the work of God. Hmm... Good challenge. Take it or leave it. * Waiting for the “right” mood or the “right” time to tackle the important task at hand. * A fear of failure or success. * Underdeveloped decision making skills. If you're in Christian ministry - don't procrastinate. Too much is at stake. Especially if the issue at hand is someone's salvation. Check out www.shapevine.com, it has some great missional content. I quite often will challenge myself; that I find it so easy to watch a 2 hour movie, but how often do I pray for 2 hours non-stop? Prayer is powerful, and I've been seeing that locally. I pray for unity in the church, and I see some relationships being mended. I pray for people to get saved, and while I haven't seen a flood of salvations, I see God working on people's lives. I believe for the harvest. I'll be honest with you. I'm a bit of a visionary. I'm always visualizing a better day, when the Kingdom of God has grown beyond our imagination, and churches are 800 strong, and lives are being transformed... Though when reality hasn't reached the vision, I have that burden inside of me that won't go away. Prayer becomes a time of that inner groaning and longing for the purposes of God to be fulfilled. Maybe you understand what this means? Maybe you're in that place. I know God is answering your prayer, and while you may not see it yet in the natural, if you ask in Jesus' name it will be done for you. That's it. Finito! Done! Thank you Jesus. I've spent two weeks in Melbourne recently, before flying back up to Palmerston (NT) the other day. I have a new found passion and boldness to speak about things of God. I sat at the local markets last night, and spoke with one of the young ladies connected to our church. We spoke about her reasons why she has never come to our Sunday morning service (She comes to everything else!). Her fears and opinions were valid, but God is stirring something in her heart. She spoke to her husband the other day while driving home from Darwin, and she said, 'You know, I've been thinking about God...' And her husband replies, 'Yeah, that it's all bull****'. The discussion ends. Later they talk about this original discussion a little bit more. God is stirring something in her heart. She has lots of questions. She has fears. She has concerns. But God is using believers to just chip away at preconceived ideas about Jesus, wrong assumptions about the church, and to offer hope. I encourage you, as do many other blog writers encourage (Cpt. Stephen Court - http://www.armybarmy.com/blog.html or Cpt. Dave Collinson - http://captaincollo.blogspot.com/) . It's time to go beyond talking about the weather! Be bold, and open up discussions about faith. Ask people what they think about Jesus. Ask them, 'Is there anything I can pray for you about?' 'Have you ever thought of coming to church?' etc, etc. God bless as you step into these discussions. Exciting times are ahead!! Jo and I watched last years Commissioning DVD (On Fire). It seems so long ago that God called us to train to become Salvation Army officers and finally be Commissioned into service. 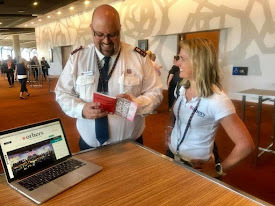 Well it was over seven months ago now, and the Witnesses For Christ of the Australia Southern Territory have been out at their appointments for six months. What has God showed me after this time? What has the Lord spoken into my life? Am I still passionate for Jesus? Is the world still worth changing? I broke down in tears tonight, reflecting on how God has changed my life, from curious wandering in the desert, to focussed discipleship; from purposelessness to life; from my will to his will. My heart began to ache for the many people we come in contact with who are still wandering; are still feeling hopeless and are following their own will. What great joy there is in ministry, when we witness someone literally hand over their own life into God's and say, 'Not my will Lord, but yours'. Over the last six months, I have begun to see God turn lives from wandering to purpose. 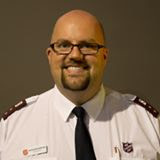 One of our soldiers is stepping into the process of becoming a Salvation Army officer. I have seen one young lady become a passionate committed disciple of Jesus. I see so many others on the brink of the life giving flood, but who are seeking to understand who this Jesus really is that we talk about. I stand on the brink. I stand on the brink of revival. I lean over, and while pearing into the distance I see hundreds of people getting saved and finding true meaning in life. The faith train is coming, and people are getting on board. I can see it. I can see Governmental influence, where leaders are seeking our advice on issues of policy. I see the Church of the city uniting in such a way that the devil no longer has a grip on any person or sector of society. I feel the power of the Spirit sweeping through the City in a way that affects lives; where the sick are healed and the depressed sense joy and the busy tradesman finds time to turn to Jesus. I'm on the brink of the life giving flood. I sense it. I'm on the brink of the Church becoming a respected voice in the community. I'm on the brink of a city that turns to God when a problem arises, not just to the local member for Parliament. I see a city falling on its knees in repentance, acknowledging Jesus as their Saviour from all the issues of their life. I can see worship not just being a song fest, but a heartfelt expression of people's love for God. I'm on the brink of Church growth being the norm not the exception. Maybe I'm not on the brink? Maybe right now; just now; right here... I'm actually IN the life giving flood. I saw a good movie last night. It depicted a true story of a farmer, who became a follower of Jesus after hearing the gospel when his wife dragged him along to Church. God took a hold of his life, and he grew passionate about evangelism, and sharing the good news of Jesus to his African friends and Scottish family. God did many miracles through him, in which he testifies of God raising an African woman back to life after a sudden illness took her life. Then God brought rain from nowhere as raging fires blew through the farm. God used this man Angus, to fulfill his purposes. To bring life and meaning to those who were spiritually empty. What a powerful story, of what God can do if we choose to follow Jesus, and have a simple faith that God can and will do the things he says he can and will do! God give us a simple faith, to believe in the impossible even in the midst of 'reality'. Next week Palmerston Salvos are running a big festival weekend called, 'The Big20'. We're celebrating 20 years of ministry within the Palmerston community. We're having a Saturday jammed packed with Stalls, Kid's rides, Devonshire Tea, BBQ, Outside Stage with local community entertainment, and something that is proving to be very popular: Palmerston's Got Talent. Darwin Salvos and others are joining us for Church on Sunday morning (outside on Stage), followed by a BBQ lunch, followed by Mainly Music on stage. Big times. We have been blessed to have the local Newspaper run with a story for next weeks paper, and Southern Cross Television (Channel 7), putting it on the community billboard on TV, and another guy from the Government making up an 'Around Palmerston' video to air on TV too. Praise Jesus. We're believing for many people to come along, to connect with each other in community. We will be sharing about the love of Jesus all weekend, not holding back about the beliefs that underpin who we are. We're believing for hundreds and hundreds of people to walk through the property and engage with us. It's all very exciting. I'm reminded of seeking first the Kingdom of God and then 'all these things will be added...'. I'm unsure theologically what this means, but I take it with the belief that if we seek first the Kingdom of God, the other things will work out; finances, plans and strategies and desires. I've been seeing that happen. The local Council donated some balloons left over from Palmerston Festival, and guess what colour the balloons were? Red, Yellow and Blue!! All the Salvationists are saying, Amen, thank you Jesus. Jo and I thank Jesus for what he is doing in people's lives. We are seeing people commit to the work of the church, even before they understand much about what the mission of the people of God is! Many are on the verge of following this amazing Jesus. My prayer is that they will. If you are a prayer warrior, please make it your prayer, that people will repent and begin a new life, with Jesus at the centre. It's dangerous reading a book on Revival. Quite often its written by someone who has been in the very midst of a powerful moving of the Holy Spirit. I can sense God's presence and challenge to dream big, and believe for great things to happen. Many will come to know Jesus. Hallelujah! I preached recently about having peace in the midst of the storm. Jesus has this while on the boat, and the disciples were stressed and fearful. Jesus rebuked them and said, 'O ye of little faith...' Trust God for peace in your life; amongst your stress, your busyness and the expectations of life. O God, that people would come to know Jesus, the one who died for them; the one who came to set us free! 'Idolatry is not limited to worship of idols but includes a broader sense of allegiance to anything that is false' (Bosch, p. 134). Ouch, many of us are into Idols. God would you smash those down!! All we need is Jesus. Ministry is going well in Palmerston (NT). Our Red Shield Appeal total was up $4,200 on last year! We have Mainly Music families connecting with the life of the church, and some are coming to a Women's Bible Study during the week. We're averaging about 30 both Sunday mornings and Sunday nights, but most of all, the Holy Spirit in moving amongst us, and many are growing in their faith. We're looking to God for the Harvest for new disciples to enter into God's Kingdom (The place where he reigns and rules!). I read recently of an officer saying that the twelfth doctrine should be 'We believe in food, eaten in fellowship'. Many of our churches are characterised by this idea. Food can attract a crowd - it does when we have a Men's Breakfast. Food can break the ice with people - it does when I offer someone a piece of cake after Church. Food is often the centrepiece of a catchup meeting - it is when I take people out to lunch for a chat. Food becomes a missional strategy at times, to strengthen relationships, to make people feel welcome, to create a warm environment. Remember the first miracle of Jesus was turning water into wine at a wedding feast. What about the Last Supper? Those powerful words shared over a meal together. In Deuteronomy, God asks the Israelites to bring a tithe of all their produce from their fields (10%) and bring it to the prescribed place of worship, so that everyone can share in a meal together and remember the Lord who provided for them. The bringing of the food to the place of worship was about obedience and celebration. We must give thanks to God for the wealth and luxurious amounts of food we have in the Western world. So many starve and others have to work all day for a meagre amount of food. We don't take it for granted, and we recognise the possibilities that a simple thing like food does to help fulfill God's mission. Had an interesting thought yesterday. We traditionally measure church growth by how many come in. When reading the Great Commission, Jesus seems to measure church growth by how many go out. Coming together to worship God as a community, seems to more biblical if it is about equipping the saints for the work of ministry, and challenging the lost to follow Jesus and become a disciple. Church services cannot just be about fellowship, or songs, or sermons, but they need to ultimately challenge the body to express their love for God in their day to day lives. We often compartmentalize our Christianity from our 'Secular work' environments, and we talk as if Sunday morning is the time we spend with God, and the rest of the week becomes about all our other goals and ambitions. Mature followers of Jesus understand God has called them to be ambassadors all the time, and so whether gathering together as the church, or whether at work, or at home, or at the shops, we are a disciple of Jesus. If somehow we could measure the going out of the disciples, and not just the coming in of the people for a Sunday gathering, we would find a more accurate, biblical measure of church growth. We spoke with the Mayor of Palmerston (Cr. Robert Macleod) recently, and he has agreed to attend our Big20 Celebrations in July, and he will also be a judge in our Palmerston's Got Talent Show as well. We had a meeting with the opposition leader of the Northern Territory (Terry Mills - CLP), and we spoke about the needs in Palmerston and what we can be doing about it. Crime seems to be a big thing on the agenda, and finding creative/innovative ways to lower crime, build deeper community, etc. Networking is important. Watching friendships grow out of networking is also a bonus; that way networking doesn't just become what 'You' can get out of someone, but rather a mutual building up of each other, and of their work. Good things are happening up this neck of the woods. God is moving, and new people are coming to church. If you are reading this are you are involved in ministry that glorifies God, I ask that God will bless it, multiply it, resource it, and grow fruit out of it. Praise the name of Jesus! There are two types of change. Revolutionary (something completely different from the past) and Evolutionary (a refinement from what has been). Generally people are more accepting of the Evolutionary change, rather than the Revolutionary. So, an idea pops up at church. The minister wants to pursue the idea of moving the location of the church service to the local school gymnasium. 2% of the people consider the idea and jump on board, looking for ways to help the transition occur. 10%, think briefly about it, and realise its a great idea and begin to help with the process. 20% need lots of coffee time - Why should we move when things are fine here? - There are too many obstacles to jump over, plus how are we going to possibly set up all that sound equipment every week? 8% arrive at the launch of the church service in the School Gym, and think - I bet it won't last long here, and they'll be back where I said we should have been all along. * We started ministry at the Palmerston Markets, with a small stall. We have a sign that says, 'Just Salvos', and we have been selling Fairtrade goods; coffee, chocolate, tea, etc. Just on a Friday night, for the last two weeks combined we have sold 23 Badges, given out 22 Kidzones, sold a few Fairtrade products, and most of all have had significant conversations and connection with the community. * On a Sunday morning we've been averaging 20-25 people. The Spirit has been moving powerfully, and people have been responding to God, experiencing his presense, reconciling relationships and taking initiative. * We gave in the Self Denial Appeal, and our Church gave the most (I think), that's it has ever given for this appeal ($4,550). Thanks Lord for this increased sacrificial giving. * We have had two lots of 24 hour prayer, which has been great for the church to strengthen their ability to pray and to grow closer to Jesus. * I felt like the Devil spoke to me this morning, and said, 'It's ok to remain small as a church...' I rebuked this comment. Scriptures came to mind of the Kingdom of God expanding like a big oak tree. We may choose to have a small group model of ministry, or a large church model of ministry, but you bet ya, God will grow his church this side of Australia! Thanks Jesus. Thanks for your prayers for our community. We need your occassional encouragement, and your occassional reminder that you're thinking of us. It helps a lot. God bless! So he sends the twelve disciples out to preach and heal (Mt 10:1,8). I want to skip all the way now to the last chapter in Matthew. Chapter 28, The Great Commission, 'All authority in heaven and on earth has been given to me. Therefore go and make disciples of all nations, baptizing them in the name of the Father and of the Son and of the Holy Spirit, and teaching them to obey everything I have commanded you'. The mission of Jesus in the early chapters of Matthew was to preach about the Kingdom of God being near, and to heal the sick. Jesus then passed that mission on to his disciples, or rather empowered his disciples to now take part in that mission. THEN, right at the end of Matthew, Jesus commands his disciples to teach them to obey (that's us), everything I have commanded you. What did he command his disciples to do in Matthew 10? To preach the message that the Kingdom of heaven is near and to heal the sick. Cutting away the cultural expecations that Jesus had for his disciples in chapter 10, I believe the essence that he wanted his disciples to pass on, was to preach, and heal. Fullness of life. The complete restoration of humanity and creation under the lordship of Jesus Christ. Well, there's some thoughts, which if you're somewhat of a thinker, you'll have your own opinions. Feel free to comment for the sake of the building up of the body! Mt 4:1-11 Jesus is led by the Spirit into the wilderness and he is tempted by the devil - an interesting event considering he had just been baptised in the river Jordan. Then the beginning of Jesus ministry as he calls the motley crew of fisherman and everyday blokes to become his disciples. He then goes up the mountain, and Chapters 5-7 record the great Sermon on the Mount, as we now know it. 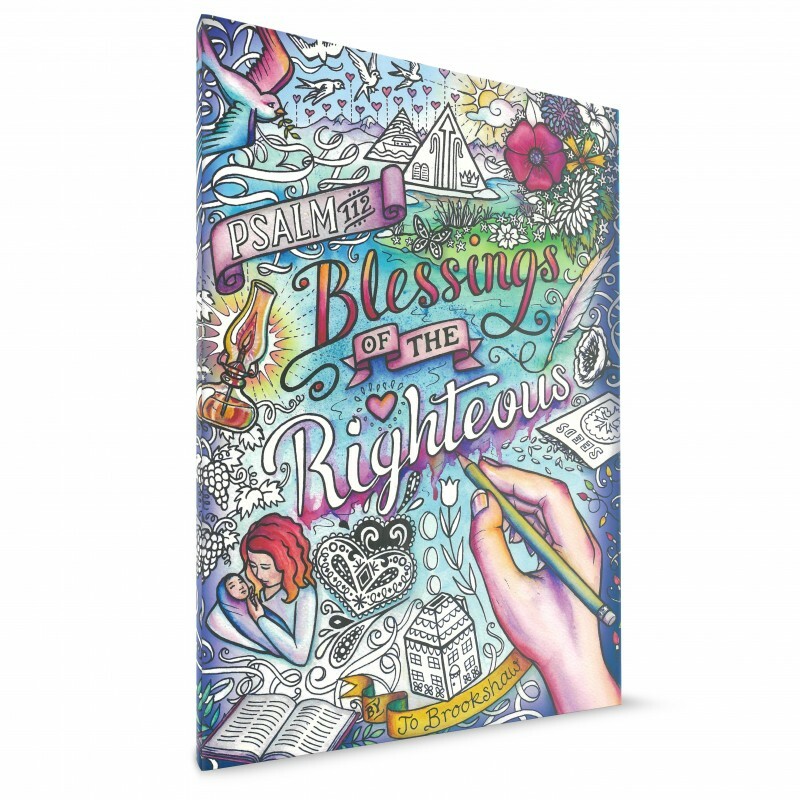 You know the one: Don't commit adultery, blessed are the poor in spirit, let your light shine. 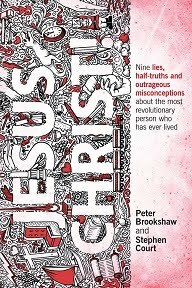 Chapters 8-9, Matthew wants the reader to understand that Jesus is the Messiah! He's the Christ, the one who comes to heal and restore. Healing after healing, after deliverance, after healing is recorded in those chapters. In amongst the stories of healing, Jesus challenges the Tax Collector Matthew to come follow him. At the end of chapter 9, verses 35-36, Matthew brings the stories to a climax and writes, 'Jesus went through all the towns and villages, teaching in their synagogues, preaching the good news of the kingdom and healing every disease and sickness. When he saw the crowds, he had compassion on them, because they were harassed and helpless, like sheep without a shepherd...' This was the mission of Jesus: to bring the good news to people, and to restore humanity to fullness of life. * If money were no object, what would we do to solve this problem? * If we were starting all over again, how would we handle this problem? * If we didn't have to get anyone's approval, how would we proceed? The brainstorming seems to allow our minds to kind of escape normality and search for new answers, new solutions to old problems. Someone said to me recently, 'We are a supernatural people', because God lives in us. Surely we can look at the impossible and have a glimpse of hope that God could achieve it? Maybe in your life right now, there is an issue or a problem that needs supernatural answers. You know the world won't solve it, and the best philosophical thought won't answer it. Ask Jesus to take on the issue, and believe that he will solve it. This is a book published in 1980. The same applies today. I have a friend who's a Prison Chaplain here in the NT. He knows people need support. They need our ears and our hearts. I think about this recently after a day where people received Welfare assistance from our 'Community Support' office. Sure, people need help with their phone bill, and in the NT, quite often it's the Power bill, but often there's a story behind the financial crisis, there's more to it than needing just a Coles Card or a loaf of bread. There's a story. Check out Army Barmy for some challenging blogs on evangelism. Fairtrade Fortnight. I was struck by the idea of having a Fairtrade Church service. There is so much God wants to say about Justice. Just check out Isaiah 58! Ever got busy in your job? You sit there, fill out some forms, check a few emails and file some important documents. You then take a moment and reflect on the fact that you didn't sign up to become an administrator, but rather a change agent. One day you step back and say, 'Hey, wait a second, it's all about Jesus.' You then begin to find ways to connect people with the Saviour, to ignite a flame in another, to bless a friend, to encourage a work colleague. You find yourself praying for the salvation of your city, as you fulfill another mundane administrative expectation. I understand some are gifted administrators, and I thank God for them, but I'm thinking of those who are stuck in a rut. Those who find themselves in a place of frustration, of indesiveness, of purposelessness, and angst. God calls you to rise above the circumstance, and endure, commit, stick it out. Some day soon God is going to use you in an amazing way, and you need to be in that place where God wants you. Smack bang in the middle of God's will. Stick it out. Outlast it. God will use you; trust Jesus to take your life and use every minute. Be ready for the Spirit of God to open an opportunity, a discussion, a breakthrough. It happens - you bump into a long lost friend, or someone who's walked away from faith, and the Spirit uses you. You email someone a thought, and the Spirit touches their life. You SMS a mate and tell her God's got plans for her. Be ready. In the mundane, be ready. Every day holds opportunities for the Kingdom of God. Be ready to take hold of them and run with it. Fix your eyes on Jesus, not on the frivolous. We hear people say that God goes before us in battle. We hear others say, God is already at work in the world. It's true. Followers of Jesus need to be lead by the Spirit to partner with God with what God is doing, and be in tune with where the Spirit leads us. Let your attitude be that of Christ Jesus. Not that of a rubbish dump. If Jesus was in the room, would you be saying what you're saying? * 'NTCOSS has identified three key areas for action [in the NT]: Indigineous disadvantage, housing shortage, and alcohol abuse.' We know that the housing shortage stems well beyond just the NT. A thought: In the church we talk about the transition from the old paradigm of 'Believe, Behave, Belong' to 'Belong, Believe, Behave'. We need to be inclusive of people, knowing at times the gospel of Jesus is still a challenge to a different lifestyle, a turning from self to God, a turning of sin to fullness of life. The Government is calling for this idea of 'social inclusion', maybe we should be calling for 'Church inclusion'? Lots to explore here. You can comment and unpack it there. 'I feel here that this time they have succeeded.' (Leon Trotsky, Russian revolutionary, pointing at his heart after being assissinated by an ice pick blow to the head in 1940). 'Es Lebe Die Freiheit! Long live freedom!' (Hans Scholl, anti-Hitler resistance leader, before his execution for high treason in 1943). 'I have a terrific headache' (Franklin Delano Roosevelt, US President, as he was dying of a cerebral haemorrhage in 1945). 'I have offended God and mankind because my work did not reach the quality it should have' (Leonardo Da Vinci in 1519). 'Go away... I'm alright' (H.G. Wells). 'Friends applaud. The comedy is over' (Ludwig von Beethoven). 'Go on, get out! Last words are for fools who haven't said enough.' (Karl Marx). 'I am still in the land of the dying; I shall be in the land of the living soon.' (John Newton - Writer of Amazing Grace). 'Up until this time, I thought that there was no God neither Hell. Now I know and feel that there are both, and I am delivered to perdition by the righteous judgment of the Almighty.' (Sir Thomas Scott). Famous Last Words... 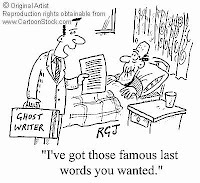 Think on it - What would your 'Famous Last Words' be? I've witnessed recently the God-impact people have when they possess an expectant heart. 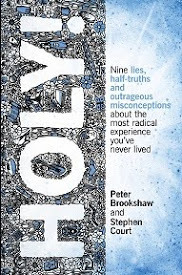 When people simply believe that God is the Amazing, Holy God that the Scriptures talk about, and they have a deep faith to believe that same God could impact their lives; connection happens. When the church joins together to honour God, there's something powerful about people having the belief that God is going to touch their lives. There's something in the atmosphere. The Spirit begins to stir. People sense the presence of the Creator amongst them. * Be expectant that God will one day honour all that hard, unseen work you're doing for the Kingdom! * Be expectant that Jesus is coming back soon!! * Following God's will is more important than the pursuit of Power, Pleasure or Possessions. * Followers of Jesus need passion! If the leader doesn't have it, then fair chance the followers ain't gonna!! * Luke 13 speaks of refertilising a fruitless fig tree. Our lives need to be nourished again and again by the Word of God. * Jesus came to give life the fullest. * In relation to the calling of people into Salvation Army officership. To what degree does God simply say, 'Who will go for us?' Does he only tap people on the shoulder and say, 'You should sign up for officership' or does he also say, 'There's a need out there; you're passionate about me, you're passionate about the Army, then will you go?' Do we always need to wait till we hear some sort of audible voice of Jesus, or some sort of radical intervention into our day to day lives? Is the inherent need of people to find fullness of life in Jesus, and the broken and hurting of our communities enough to simply say, 'Here am I Lord, send me'? I'm away at Officer's Fellowship - down at Lake Bennett. A time to refresh, reenergize, and soldier up for the year ahead. See you in a couple of days. God bless.